Everyone wants to look their best for the party. 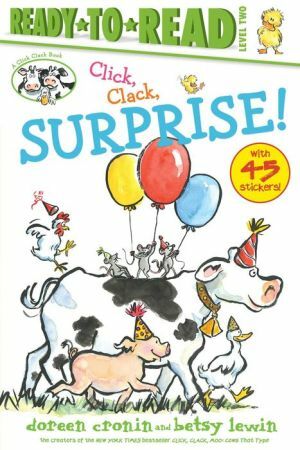 But Little Duck has never had a birthday before -- so how better to learn how to prepare than to do what all the other animals do! The sheep trim their wool -- so Little Duck trims her feathers. The pigs need a mud bath -- so Little Duck quish and quashes, too. All over the barnyard Little Duck snips, slurps, squishes, and shimmy shakes herself ready until...WHOOPS! It's party picture time -- and Little Duck is a big mess. No matter -- it's not something Farmer Brown's frosted maple cake can't fix!